Are you addicted to essential oil fragrances? Lots of people are. These fragrances are not only pleasant; they also have a host of beneficial medicinal properties. Essential oils are made following distillation of plants and herbs that exist in nature. It would be logical to draw the conclusion that they can treat a variety of health problems naturally. Aromatherapy is a term denoting the use of natural oils extracted from herbs, flowers, leaves, bark, roots, or stems of plants with the aim of improving psychological and physical health and well-being. It is believed (and has partially been proven) that you can stimulate your brain by inhaling the aroma from these oils. They have a number of applications including mood stabilization, pain relief and increased cognitive function. 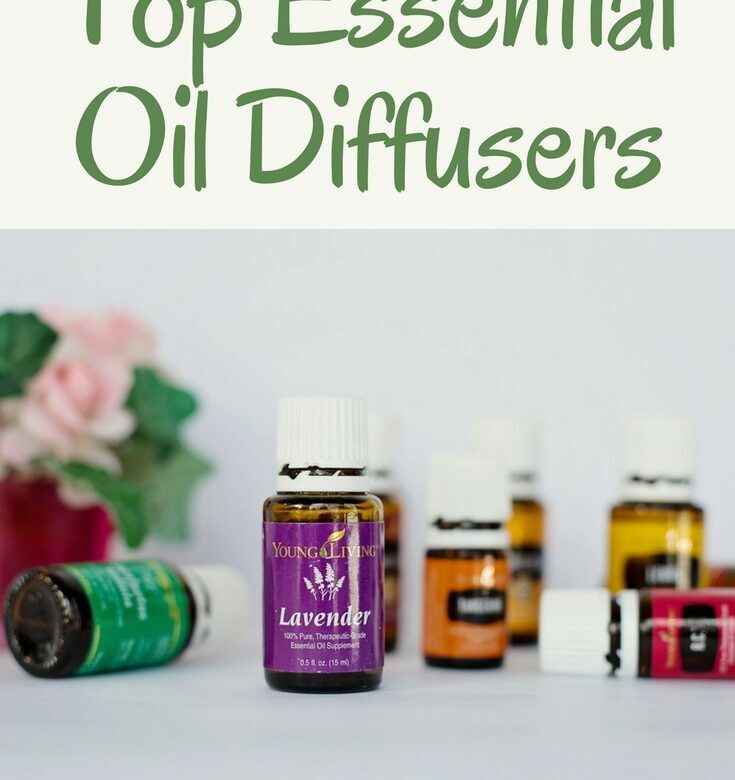 Read on to get an introduction on how two of the top essential oil diffusers on the market measure up! This diffuser scores really well when it comes to tank size – it has 300 ml of water capacity, almost twice the average of most diffusers. Part of the diffuser is made of wood, and this part does not emit light. It is a great choice for your home, office, spa or a hotel lobby. It looks modern and functions as an air purifier, humidifier, night light and ionizer as well as diffuser. An ionizer means that the device produces ions that are beneficial to our health. They stimulate the secretion of serotonin in the brain – the “happiness” hormone – thereby relieving anxiety attacks, depression, and stress, and giving us more energy. The diffuser’s wood finish makes it suitable in a variety of settings, but it is absolutely perfect with wood furniture. This is a soft, inviting fragrance that is appealing to clients at the office or spa and friends and family at home. The vibrant, changing colors of the VicTsing LED will be sure to sooth and relax. You can select a certain color or turn the light off in case it doesn’t turn out as pleasant as you thought it would be. The good thing is that you have a choice. You can also select the brightness depending on mood and time of day. This diffuser is a good option for people who need complete darkness to sleep. This essential oil diffuser has a body made of plastic with a wood base. It also holds 300 ml and emits a fragrance that is sufficient to cover up to 450 square feet of space. It works as a humidifier, air purifier, night light and ionizer. Your children will love the long-life LED in exotic hues like cyan, aqua, red, green, yellow, blue, and purple. You can select the dimness or number of colors or turn the LED off. This diffuser is relatively smaller, making it easy to carry around and switch on. Eucalyptus essential oil is an absolute delight for the senses, and also helps treat a variety of ailments, including canker sores and allergies. If you have a small child / children, we recommend placing a diffuser with lavender or tea tree oil in their room. Make sure you only use half of the drops you would for an adult.